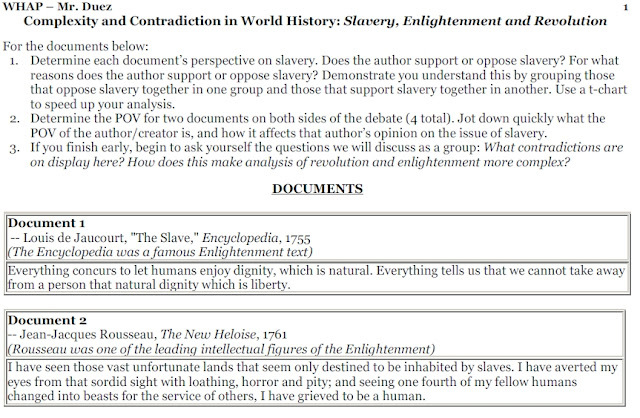 Here is a link to our Take Home DBQ. The essay response is due back to Mr. Duez on Friday Feb. 3rd, 2012. Link to the DBQ here.